Looking for diving services in English in Tokyo? We are the largest diving group offering the most diversity in diving locations and diving certifications. We are also one of the few groups that offers support for sidemount and technical divers. More about us here. Want to get open water certified? Or be able to go a little deeper and get your next certification level like advanced open water or rescue diver? 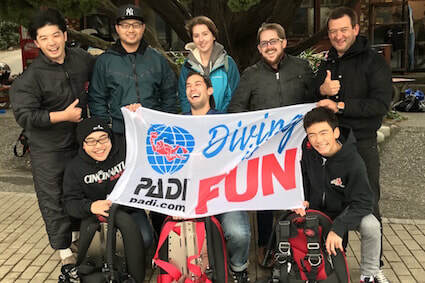 We are one of the few groups in Tokyo providing PADI, SDI and TDI training in English. Want to try nitrox, night diving, sidemount, .... ? We provide many options. Most of our dive sites are on the Izu Peninsula or Izu islands, but there are some sites in Chiba as well. On top of that, we coordinate group trips to Ogasawara, Okinawa & some amazing diving locations in Asia. Look on our divesites page to learn more about our favorite locations like Atami, Osezaki or Izu islands like: Oshima island, Kouzushima, Miyakejima island, Hachiojima & many more. Explore diving in Japan and enjoy the local Japanese culture. Our diving events are available on our website as a google calendar (add it to your own) and our activities are always announced on our facebook event page as well. 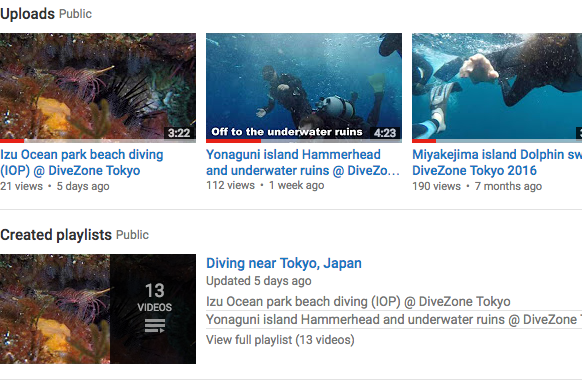 We have ample social media to see what diving in Japan is like: facebook, instagram, twitter, youtube. Looking for more advanced training? Specialists in sidemount and technical diving? 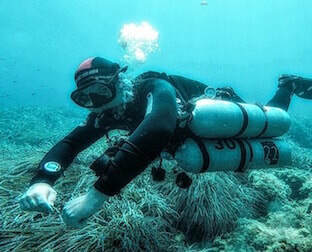 Besides PADI, DiveZone Tokyo also offers TDI technical courses. ​Want to explore shipwrecks, dive deeper and/or longer? Divezone Tokyo is the English technical diving service based in Tokyo for you. We have a youtube video channel to let people see what our divesites look like and to share the fun we have! We also aim at making education and training videos to improve your diving skills. So keep a close eye on our video channels! If you like what you see, please subscribe!! Welcome to the DiveZone Tokyo webshop, made to help divers in Tokyo get some quality gear for affordable prices. Here you can find all essential gear for your diving with most gear preferred by our instructors.